Join Us - Beer Belly Master Mindz EU, English Speaking, Mature. We are the Beer Belly Master Mindz [BBMM] gaming community created for all the people that are oversees and play on the EU servers! We are a Europe based clan........ of " Fighting Friends!" We are a laid back community, we don't stress and don't want any drama, just to have fun with friends and enjoy comradery, joke and game. Typically we play in the evenings and use Discord to communicate, download free at discord.com. The link to our voice server is https://discord.gg/mezA43q. If you are interested in having fun and hanging out with a great crowd, submit an application in this thread or feel free to say hi in Discord (preferred) Facebook or on our Webpage. We try our best to process everything within 24hrs. The Clan's Primary Language is English however we have members from all over Europe to include the Netherlands, Hungry, Spain, U.K., France, Sweden and other countries as well and even a few Americans living in Germany. We are a social clan, so please have a headset so you can join us in our Discord voice server, feel free to jump into any channel and say hello. - Active supportive players across all skill levels. - Active Discord Voice and chat server, 200+ users. - Multiple BBMM social media platforms. - Clan Activities, Training nights, Fun events, Give-a-ways & tournament teams. - Multi-gaming environment, BBMM Clan in all major Wargaming titles. Benefits of membership, read below. (1) Your Alias listed on the official BBMM page as a member and voting rights. 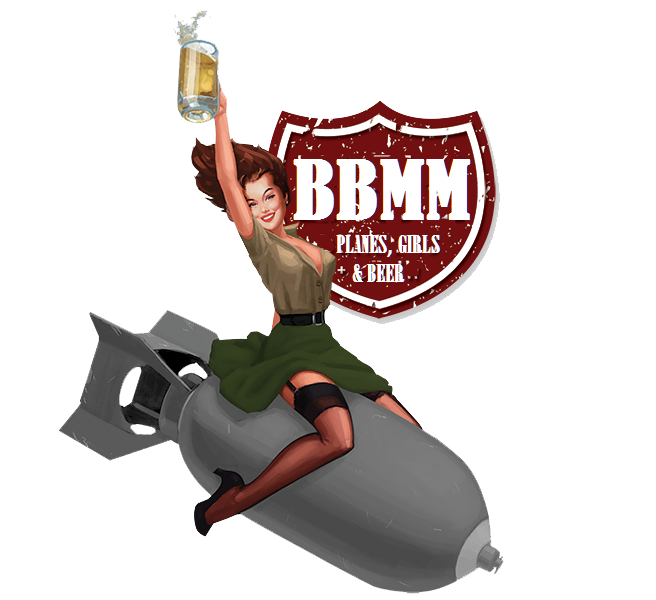 (2) Visible BBMM logo on all your planes. (3) BBMM logo in your hanger. (5) A team to game with, in Clan, flight, tournament and Training battles. (6) Access to our website (Beer Belly Master Mindz) at www.clans.de/bbmm , our Facebook Group and many other social media sites BBMM reddit, Steam group, Alienware Arena Group, etc. (7) We play WoWP but we also play PUBG, WoT, WoWS, Battlefield, Call of Duty, Hero's and Generals, Rust, Iron Sight and many other game titles, feel free to join us and have some fun! We're a multi-gaming community. (9) We offer commitment rewards for time served as a community member. A Discord Profile badge for 1 year, 2, 3, 5 and 10 years as a member. (10) Members have access to our regular give-a-ways, ranging from in game gold to steam games. We look forward to seeing you in the sky! Edited by Timewarp76, 14 March 2019 - 10:33 AM. Welcome to our newest member sencure_invader ! Edited by Timewarp76, 13 March 2018 - 03:37 PM. Do you have interest or use for a player who doesn’t use TS3 or any other VOIP software? I have very young children who go to bed before I play so me waffling into a headset really isn’t an option, at least for the next few year. Other than that I play WoWP, WoT and WoWS - with rather a lot of games under my belt on WoT anyway. I have also played AW and WT but stopped AW due to the massive downloads required every time they update (I still live in a part of the world with standard broadband, not fibre). Hi/ SirTenDeath... of course the preference for most of the membership is to join in on teamspeak but we do understand the constraints you are still welcome to join us. We have a few guys that play all three of the major titles WoT / WoWS and WoWP. Go ahead and apply at the WoT Clan Page and the WoWP clan page and I'll accept the application right away. Edited by Timewarp76, 03 December 2017 - 05:52 PM.  Welcome our newest member Goldbear82, we look forward to flying with you! Welcome acerbg ! We look forward to flying with you! Hi Certios Welcome to the team. Most of our guys are around tier 7-8 and I'm almost tier 9 in WoWP. I understand the kiddo situation I have two year old twins and that in it's self is an adventure :-) As for your thoughts on the GAA I'm liking them as well. I have the IL-20 fully upgraded and working toward the IL-40. My current seed of tier 8's is the Il-40, Super Corsair and Pancake, and my premiums are the Seafang and Shooting Star. Again welcome to the team hope to see you in game in teamspeak and or discord. Cheers. P.s. if you play WoT or WoWS feel free to join BBMM there as well, mostly same fellas. We have a decent PUBG following as well. Edited by Timewarp76, 06 January 2018 - 11:50 AM. Rebegan playing with planes a few weeks ago. Used to play WT 2 years back and am now looking for a clan to join to make the experience more cosy. Being from Luxembourg i talk a few languages the main ones being luxemburgish, english, german and french. If you guys are still recruiting i would love to pass by on your TS and say hi. Hi. I sent you a clan invite. The more the merrier, I'm a little over 40 myself so no worries mate. Most of our guys are 25+ Welcome to the team! Welcome to our newest member Mytola. We look forward to gaming with you! Welcome Mytola , Good Luck BBMM !!! My man, appreciate the welcome note and bump! Welcome to our newest member! donthappybworry we look forward to flying with you! A big welcome to the new clan members darkstar73, HG_Hergaden, Dalmasen0243 , JOO_e38, and Winum we look forward to seeing you in game! Welcome to our newest member 23gale we look forward to gaming with you! We'll chat it up in discord see you later!